Home / Search for "plaquenil"
What are anti-malarial drugs, and why are they used to treat lupus? Studies have shown lupus patients on anti-malarials actually live longer than those who are not, and these medications are usually prescribed when someone is first diagnosed with the disease. Anti-malarials are particularly useful in treating discoid lupus, subacute cutaneous lupus, and mouth sores associated with lupus; they are also effective in treating rheumatoid arthritis and Sjogren’s syndrome. However, anti-malarials are not a sufficient treatment for more severe lupus symptoms such as kidney disease and nervous system or blood vessel involvement. When lupus spreads to these organs, immunosuppressive medications are usually added to help minimize irreversible injury. What anti-malarial drugs are commonly prescribed for lupus? Three anti-malarial drugs are prescribed for lupus symptoms. Hydroxychloroquine (Plaquenil) is the most commonly prescribed because it is generally believed to cause fewer side effects; chloroquine (Aralen) has a reputation for more serious side effects, but it may be prescribed in situations where hydroxychloroquine cannot be used. Quinacrine (Atabrine) is another alternative, but it is prescribed less often because it can sometimes cause a yellow discoloration of the skin. It is sometimes given in addition to hydroxychloroquine if the patient does not respond to Plaquenil alone. Quinacrine tablets are no longer manufactured and can only be obtained through a compounding pharmacist. Your doctor will advise you on how to obtain quinacrine if this becomes your advised method of treatment. How do anti-malarial drugs control lupus symptoms? Anti-malarial medications help to control lupus in several ways by modulating the immune system without predisposing you to infection. Anti-malarials can protect against UV light and sometimes even improve skin lesions that do not respond to treatment with topical therapy (ointments). Anti-malarial medications may prevent activation of plasmacytoid dendritic cells, a component of the immune system that is responsible for making interferon. Can anti-malarial drugs be taken with other lupus medications? Yes, anti-malarials can be taken with other lupus medications, including corticosteroids (e.g., prednisone), immunosuppressives, cytotoxic drugs, and NSAIDs. Anti-malarial drugs may be given in combination with prednisone to reduce the amount of steroid needed to control lupus symptoms and thus to alleviate some of the side effects of the steroid. In addition, since it usually takes about 1-3 months for your anti-malarial medications to fully take effect, you may be given a steroid medication to act as a bridging medication and alleviate your symptoms during this interim. Can anti-malarial drugs be taken during pregnancy? Anti-malarials are safe to use during pregnancy, but you should speak to your doctor if you are pregnant or may become pregnant to decide the course of treatment that will be best for you. No fetal abnormalities are known to have occurred from taking hydroxychloroquine, and physicians at several major universities have used anti-malarial drugs for years to treat pregnant women with lupus without negative side effects on the fetus. What should I keep in mind when taking anti-malarial drugs? Damage to the retina, the light sensitive portion of the inner eye, can occur with long-term use of Plaquenil or chloroquine (Aralen). With Plaquenil, however, the most commonly prescribed anti-malarial, this sort of damage occurs only in 1 out of 5,000 people who take the drug for five years or more. For this reason though, it is important that you see an ophthalmologist for an exam before starting to take an anti-malarial medication for your lupus. Follow-up exams every 6 months (or, annually at the very least) are also advised. You can also monitor yourself between visits with a special grid called an Amsler grid, which can be obtained through your ophthalmologist. If your ophthalmologist does find some Plaquenil deposits, s/he will simply request that you stop taking the medication, and you may follow up with your rheumatologist about another advised method of treatment. Unfortunately, retinal damage caused by Aralen may be irreversible, but this medication is rarely prescribed anymore for lupus. Do not smoke while taking anti-malarial medications, since smoking actually reduces the benefits of these drugs. In fact, people with lupus should not smoke at all due to their increased risk of cardiovascular disease. You should always take your anti-malarial medications with food to prevent stomach upset. If a stomachache does occur, it is usually temporary. However, if you experience stomach upset while taking generic hydroxychloroquine, ask your doctor about trying name-brand Plaquenil instead. While these medications contain the same active ingredient, the preparation of generic hydroxychloroquine can sometimes cause stomach irritation. This sort of upset usually does not occur with commercial Plaquenil. Your doctor can ensure that you receive this version of the medication by writing “do not substitute” on your script. Lastly, remember that even though you may feel the benefits of anti-malarial therapy after about a month of treatment, it may take up to three months for the full benefits of the drug to manifest. If you experience any serious adverse effects, notify your doctor. Can I stop taking anti-malarials suddenly? Long-term anti-malarial use is normally safe. However, if you stop taking your anti-malarial drugs, you may experience a lupus flare. Anti-malarial drugs may have additional health benefits for some people. Potential benefits include greater protection from UV light and lower cholesterol and blood glucose levels. These benefits may be especially helpful for people taking steroids. In addition, individuals with antiphospholipid antibodies, such as the lupus anticoagulant and anticardiolipin antibodies, may experience a decreased likelihood of blood clots. What are the possible side effects of anti-malarial drugs? Most people (about 90%) who take anti-malarial medications experience no side effects. If side effects do occur, they are usually minor and last only for a short period of time. Skin rashes and pigment change. Atabrine, specifically, can cause yellow pigmentation of skin. Sometimes Plaquenil can also deposit in the tissues of the body and cause the skin to take on a greenish tone. Retinal damage – There is a small chance that retinal damage will occur while taking hydroxychloroquine (Plaquenil) or chloroquine (Aralen). For this reason, you should see your ophthalmologist at least once per year so that she/he may check for retinal deposits. Retinal damage caused by hydroxychloroquine is generally reversible, but damage caused by chloroquine may not be. More information on this effect can be found above. Major neurological side effects: confusion, seizures – These are quite rare, but if you experience them, alert your doctor immediately. Exacerbation of psoriasis – If you have psoriasis, Plaquenil may make your condition worse. Talk to your doctor if you have this condition. Most people with lupus experience some sort of skin involvement during the course of their disease. In fact, skin conditions comprise 4 of the 11 criteria used by the American College of Rheumatology for classifying lupus. There are three major types of skin disease specific to lupus and various other non-specific skin manifestautions associated with the disease. Three forms of specific skin disease occur in people with lupus, and it is possible to have lesions of multiple types. In addition, a person can also have one of the three forms outlined below without actually having full-blown systemic lupus erythematosus (SLE), but the presence of one of these disease forms may increase a person’s risk of developing SLE later in life. Usually, a skin biopsy is used to diagnose forms of cutaneous lupus, and various medications are available for treatment, including steroid ointments, corticosteroids (e.g., prednisone), and antimalarials (e.g., Plaquenil). Chronic cutaneous (discoid) lupus erythematosus is usually diagnosed when someone exhibits signs of lupus in the skin. People with SLE can also have discoid lesions, and about 5% of all people with DLE will develop SLE later in life. A skin biopsy is used to diagnose this condition, and the lesions have a characteristic pattern known to clinicians: they are thick and scaly, plug the hair follicles, appear usually on surfaces of the skin exposed to sun (but can occur in non-exposed areas), tend to scar, and usually do not itch. If you are diagnosed with discoid lupus, you should try to avoid sun exposure when possible and wear sunscreen with Helioplex and an SPF of 70 or higher. In addition, you doctor may prescribe medications to help prevent and curb inflammation, including steroid ointments, pills, or injections , antimalarial medications such as Plaquenil, and/or immunosuppressive medications. About 10% of lupus patients have SCLE. The lesions characteristic of this condition usually do not scar, do not appear thick and scaly, and usually do not itch. About half of all people with SCLE will also fulfill the criteria for systemic lupus. Treatment can be tricky because SCLE lesions often resist treatments with steroid creams and antimalarials. People with SCLE should be sure to put on sunscreen and protective clothing when going outdoors in order to avoid sun exposure, which may trigger the development of more lesions. Most people with ACLE have active SLE with skin inflammation, and ACLE lesions are found in about half of all people with SLE at some point during the course of the disease. The lesions characteristic of ACLE usually occur in areas exposed to the sun and can be triggered by sun exposure. Therefore, it is very important that people with ACLE wear sunscreen and protective clothing when going outdoors. About half of all lupus patients experience a characteristic rash called the malar or “butterfly” rash that may occur spontaneously or after exposure to the sun. This rash is so-named because it resembles a butterfly, spanning the width of the face and covering both cheeks and the bridge of the nose. The malar rash appears red, elevated, and sometimes scaly and can be distinguished from other rashes because it spares the nasal folds (the spaces just under each side of your nose). The butterfly rash may appear on its own, but some people observe that the appearance of the malar rash indicates an oncoming disease flare. Whatever the case, it is important to pay attention to your body’s signals and notify your physician of anything unusual. 50% of all people with lupus experience sensitivity to sunlight and other sources of UV radiation, including artificial lighting. For many people, sun exposure causes exaggerated sunburn-like reactions and skin rashes, yet sunlight can precipitate lupus flares involving other parts of the body. For this reason, sun protection is very important for people with lupus. Since both UV-A and UV-B rays are known to cause activation of lupus, patients should wear sunscreen containing Helioplex and an SPF of 70 or higher. Sunscreen should be applied everywhere, including areas of your skin covered by clothing, since most clothing items contain an SPF of only about 5. Be sure to reapply as directed on the bottle, since sweat and prolonged exposure can cause coverage to dissipate. People with lupus may experience a lacy pattern under the skin called livedo reticularis. This pattern may range anywhere from a violet web just under the surface of the skin to something that looks like a reddish stain. Livedo can also be seen in babies and young women, is more prominent on the extremities, and is often accentuated by cold exposure. The presence of livedo is usually not a cause for alarm, but it can be associated with antiphospholipid antibodies. About 70% of people with lupus will experience hair loss (alopecia) at some point during the course of the disease. Hair loss in lupus is usually characterized by dry, brittle hair that breaks, and hair loss is more common around the top of the forehead. Physical and mental stress can also cause hair loss, as can certain medications, including corticosteroids such as prednisone. In many cases the hair will grow back, but hair loss due to scarring from discoid skin lesions may be permanent. There is no cure-all for hair loss, but treatments such as topical steroids and Rogaine may be prescribed. Sometimes dealing with the cosmetic side effects of lupus can be difficult, but some people find using hairpieces and wigs to be an effective means of disguising hair loss. About 25% of people with lupus experience lesions that affect the mouth, nose, and sometimes even the eyes. These lesions may feel like small ulcers or “canker sores.” Such sores are not dangerous but can be uncomfortable if not treated. If you experience these types of lesions, your doctor may give you special mouthwash or Kenalog in Orabase (triamcinolone dental paste) to help expedite the healing process. Approximately one-third of all people with lupus experience a condition called Raynaud’s phenomenon in which the blood vessels supplying the fingers and toes constrict. The digits of people with Raynaud’s are especially susceptible to cold temperatures. Often people with the condition will experience a blanching (loss of color) in the digits, followed by blue, then red discoloration in temperatures that would only be mildly uncomfortable to other people (such as a highly air-conditioned room). It is very important that people with Raynaud’s wear gloves and socks when in air-conditioned spaces or outside in cool weather. Hand warmers used for winter sports (e.g., Hot Hands) can also be purchased and kept in your pockets to keep your hands warm. These measures are very important, since Raynaud’s phenomenon can cause ulceration and even tissue death of the fingers and toes if precautions are not taken. People have even lost the ends of their fingers and toes due to the poor circulation involved in Raynaud’s phenomenon. Cigarettes and caffeine can exacerbate the effects of Raynaud’s, so be sure to avoid these substances. If needed, your doctor may also recommend a calcium channel blocker medication such as nifedipine or amlodipine to help dilate your blood vessels. About 10% of all people with lupus will experience hives (urticaria). These lesions usually itch, and even though people often experience hives due to allergic reactions, hives lasting more than 24 hours are likely due to lupus. If you experience this condition, be sure to speak with your doctor, since s/he will want to be sure that the lesions are not caused by some other underlying condition, such as vasculitis or a reaction to medication. Your doctor will probably distinguish these lesions from those caused by vasculitis by touching them to see if they blanch (turn white). Approximately 15% of people with lupus will experience purpura (small red or purple discolorations caused by leaking of blood vessels just underneath the skin) during the course of the disease. Small purpura spots are called petechiae, and larger spots are called eccymoses. Purpura may indicate insufficient blood platelet levels, effects of medications, and other conditions. Some people with lupus may develop a condition known as cutaneous vasculitis, in which the blood vessels near the skin experience inflammation that ultimately restricts blood flow. This condition can cause hive-like lesions on the skin that may itch and do not turn white when depressed. Other skin abnormalities may also be present, including actual gangrene of the digits. If left untreated, vasculitic lesions may cause ulceration and necrosis (cell death), and dead tissue must be surgically removed. Rarely, fingers or toes with aggressive ulceration and gangrene may require amputation. Therefore, it is very important that you notify your doctor of any skin abnormalities. The following drugs are commonly used to treat the inflammation and symptoms of lupus. Since lupus manifests in different ways in different people, treatment regimens differ from patient to patient. In addition, one patient may experience several different treatment regimens during her/his lifetime. It is important that you understand the medications you are taking and the risks, benefits, and restrictions associated with them. Please remember to take your medications exactly as directed by your physician and to address any questions or concerns upon your next visit. NSAIDs These anti-inflammatory medications relieve some lupus symptoms by reducing the inflammation responsible for the stiffness and discomfort in your muscle, joints, and other tissues. NSAIDs are milder than many other lupus drugs and may be taken either alone to treat a mild flare or in combination with other medications. Steroids Synthetic cortisone medications are some of the most effective treatments for reducing the swelling, warmth, pain, and tenderness associated with the inflammation of lupus. Cortisone usually works quickly to relieve these symptoms. However, cortisone can also cause many unwelcome side effects, so it is usually prescribed only when other medications—specifically NSAIDs and anti-malarials—are not sufficient enough to control lupus. Immunosuppressive Medications Immunosuppressives are medications that help suppress the immune system. Many were originally used in patients who received organ transplants to help prevent their bodies from rejecting the transplanted organ. However, these drugs are now also used for the treatment of certain autoimmune diseases, such as lupus and rheumatoid arthritis. DHEA DHEA is a mild male hormone that is effective in treating some of the symptoms of mild to moderate lupus, including hair loss (alopecia), joint pain, fatigue, and cognitive dysfunction (e.g., difficulty thinking, memory loss, distractibility, difficulty in multitasking). DHEA can also be effective against osteoporosis. Systemic lupus erythematosus (“lupus” or “SLE”) and other autoimmune diseases are linked to an increased risk of certain types of cancer. Specifically, lupus patients may experience an elevated risk of lymphoma and other cancers, such as cancer of the cervix. Researchers have elucidated certain connections between lupus and cancer. For example, it is widely accepted that immunosuppressive medications, such as azathioprine (Imuran) and mycophenolate mofetil (Cellcept) contribute to elevated cancer risk. However, one of the largest studies to investigate this connection suggests that the risk of cancer is actually greatest during the earlier stages of lupus, indicating that exposure to immunosuppressive therapy is not the only link between lupus and cancer. Physicians do not yet understand the precise relationship between lupus and cancer. Studies show an increased risk of both Hodgkin’s and non-Hodgkin lymphoma in lupus patients. It is believed that the elevated risk of lymphoma results from the disease process of lupus—specifically the overstimulation of B-cells coupled with defects in the immune system’s surveillance system—and not just from medications or other associated risk factors. Some suggest that immunosuppressive medications also increase the risk of lymphoma and other blood cancers, especially 5 or more years after taking the drug. In addition, people with Sjogren’s syndrome, which is relatively common in lupus, experience an even greater elevation of lymphoma risk, suggesting that lymphoma in lupus patients may also be linked to this condition. Some data indicate that women with lupus experience an increased risk of breast cancer. Increased estrogen levels might contribute to a higher risk of breast cancer in women with lupus. Lung cancer is about 1.4 times more common in people with lupus than in the general population. Interestingly, people with lupus and lung cancer are more likely to experience rare types of lung cancer. However, like the general population, many of the people with lupus who develop lung cancer are smokers. In fact, 85% of lung cancer is caused by tobacco. It is very important that people with lupus do not smoke. Smoking not only increases the chance of developing lung cancer, it also ups the risk for cardiovascular disease (which is also markedly increased in people with lupus), and prevents lupus drugs like Plaquenil from working properly. If you need help quitting, talk to your doctor. S/he can help you find the most effective strategy to curb your smoking habit. Certain studies have shown an elevated risk of cervical cancer and abnormal PAP tests in women with lupus. One study linked the increased incidence of abnormal PAP tests with histories of sexually transmitted disease, contraceptive use, and immunosuppressive medications. Some physicians suggest that either the use of immunosuppressives or flawed inherent immunity lead to a decrease in the ability of lupus patients to fight off human papilloma virus (HPV), a virus associated with cervical cancer. [Gardasil (the HPV vaccine) is recommended for young women with lupus to reduce the risk of later cervical cancer.] However, like much of our knowledge of cancer in lupus, these connections are not fully known or understood. New evidence suggests that lupus patients also experience an elevated incidence of endometrial cancer, although the cause for this risk is unknown. It has been found that people with Rheumatoid Arthritis, another autoimmune disease, experience a lower incidence of colorectal cancer than the general population. Although the precise cause of this phenomenon is unknown, it has been attributed to the long-term (10 years or more) use of non-steroidal anti-inflammatory drugs (NSAIDS) and aspirin. Evidence has also been found that long-term aspirin and NSAID use may also reduce the risk of colorectal, breast, and prostate cancer in the general population. It is likely that this benefit also holds for people with lupus, but that does not mean that one should begin taking aspirin and NSAIDs for this reason. In fact, long term NSAID use can increase cardiovascular disease. Therefore, you should only take medications as directed by your physician. Despite the increased risk of cancer in people with lupus, studies show that lupus patients are actually equally or even less likely than the general population to undergo cancer screenings. Thus, it is very important that you speak with your doctor about lupus and cancer to ensure that you see the appropriate physicians for cancer screenings as often as recommended. Certain risk factors, such as smoking, obesity, hormone replacement therapy, and exposure to immunosuppressive medications, increase the chance that an individual will develop cancer. Therefore, it is also important that you practice healthy lifestyle habits. Obesity also increases the risk of certain cancers, so try to eat foods that help you maintain a healthy weight. Sunlight causes lupus flares and also increases the risk of skin cancer. People with lupus should avoid the sun whenever possible. If you need to be outdoors, wear sunscreen with an SPF of 85 or greater and be sure that your sunscreen contains Helioplex to protect you from both UV-A and UV-B rays. Gayed M, Bernatsky S, Ramsey-Goldman R, Clarke A, Gordon C. Lupus and cancer. Lupus. 209; 18(6); 479-85. Research Update: Cancer in Lupus. (Based on presentation by Dr. Sasha Bernatsky at BC Lupus Society Symposium.) 22 Oct. 2005. Available at <http://www.bclupus.org/resources.html>. “Arthritis” is a broad term used to describe inflammation of the joints. There are many subsets of arthritis, but the arthritis seen in lupus closely resembles rheumatoid arthritis in that it is symmetric (affects the same locations on either side of the body) and usually affects the small joints of the hands, wrists, and feet. Unlike rheumatoid arthritis, erosion of bone usually does not occur, but the hands may appear deformed if there is laxity of the tendons or ligaments. [The medical name for this condition is Jaccoud’s arthropathy. Fingers affected by this condition can be manually straightened but will curve or turn to one side if left alone.] About 95% of lupus patients will experience arthritis or arthralgias (joint pains) at some point during the course of their disease. Polyarthralgia and polyarthritis, defined as arthralgias or arthritis affecting 5 or more joints, are the most common joint problems seen in people with SLE. In fact, over 50% of lupus patients possess this ailment upon their initial diagnosis. Morning stiffness is also common in lupus. Often people with this condition find that a warm shower in the morning helps to loosen the synovial (joint) fluid and help the body to limber up for the day. Both large joints, such as the knees, shoulders, and elbows, and small joints, such as the toe and finger joints, can be affected by lupus arthritis. However, pain in the groin should be given special attention by your doctor [especially if you take steroid medications], since this may indicate a more serious problem known as osteonecrosis. Sometimes fluid may accumulate in a joint. In the medical realm, this buildup of fluid is called an effusion and may require draining by your doctor. However, swelling in the joints caused by lupus will improve with lupus medications. The joint pain and swelling caused by lupus can be helped by certain medications, including NSAIDs, such as naproxen or ibuprofen. Arthritis may also be helped by daily antimalarial therapy (Plaquenil). If necessary, severe polyarthritis can be treated with certain steroids and immunosuppressive medications, such as methotrexate. Your doctor will decide which treatment plan will best alleviate your lupus arthritis. “Arthritis.” Medical Dictionary. 26 June 2009 <http://medical-dictionary.thefreedictionary.com/arthritis>. Petri, Michelle. “Lupus Information.” Nov. 2002. 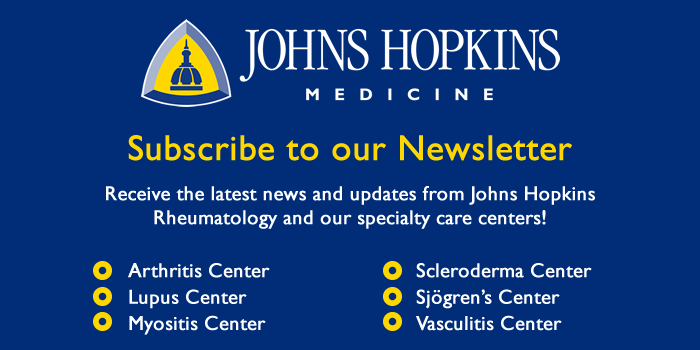 The Johns Hopkins Arthritis Center. 26 June 2009. <http://www.hopkins-arthritis.org/arthritis-info/lupus/>. Schur, Peter H. “General Symptomology.” The Clinical Management of Systemic Lupus Erythematosus. Ed. Peter H. Schur. 2nd ed. Philadelphia: Lippincott-Raven, 1996. 10. Ziminski, Carol M. “Musculoskeletal Manifestations.” The Clinical Management of Systemic Lupus Erythematosus. Ed. Peter H. Schur. 2nd ed. Philadelphia: Lippincott-Raven, 1996. 47-65. About 50% of people with SLE will experience lung involvement during the course of their disease. Five main lung problems occur in lupus: pleuritis, acute lupus pneumonitis, chronic (fibrotic) lupus pneumonitis, pulmonary hypertension, and “shrinking lung” syndrome. Pleuritis, also known as pleurisy, is characterized by inflammation of the pleura, the two-layered membrane surrounding the lungs. If fluid forms and escapes the membrane, the condition is referred to as pleural effusion. Since inflammation of the pleura puts pressure on the lungs, people with pleuritis often experience pain when taking deep breaths. A pleural effusion is detectable on an x-ray, and pleurisy or a pleural effusion can be treated with NSAIDs or steroid medications. Antimalarials like Plaquenil may also be effective in preventing or fending off the condition. Acute lupus pneumonitis is a serious condition that affects anywhere from 1-10% of lupus patients. The condition is characterized by chest pain, shortness of breath, and a dry cough that may bring up blood. Acute lupus pneumonitis requires immediate treatment with high dose steroids and possibly immunosuppressive medications. Yet, even with successful treatment, some people develop lung scarring. Thus, it is very important that you speak with your physician if you experience any unfamiliar lung pains or symptoms. As the name suggests, chronic lupus pneumonitis is the creeping cousin of acute lupus pneumonitis. Whereas the acute form comes on quickly, chronic lupus pneumonitis accumulates subtly over years. Some people with chronic lupus pneumonitis may have had acute lupus pneumonitis as some point during their lives, while others have not. Often the disease takes so long to develop that people do not realize or complain of the initial symptoms. While current inflammation can be treated with steroid medications, any scarring that occurs over time is permanent. Thus, it is very important that you remember to tell your doctor about any chest, lung, or breathing pain during regular visits. If caught early, chronic lupus pneumonitis can be treated. In order for the organs in your body to work, they must receive oxygen. The right side of your heart is responsible for pumping blood from your veins back to your lungs to receive oxygen; the oxygenated blood then returns to the left side of the heart, where it is pumped to the rest of the body for use. Pulmonary hypertension is a unique form of hypertension (high blood pressure) in which the blood vessel that carries blood from the heart to the lungs thickens, reducing the amount of blood that can move through it in a given amount of time. In order to counter this resistance, your heart must pump harder and faster. When the heart fails to keep up, the rest of the body suffers by receiving less and less oxygen (a condition called hypoxia). Pulmonary hypertension occurs in about 10% of people with lupus. On rare occasions pulmonary hypertension responds to corticosteroids and immunosuppressive treatment. However, if it is not reversible (meaning, if it is not due to active lupus), then your doctor can discuss with you one of the FDA-approved medications for pulmonary hypertension. “Shrinking lung” syndrome is another rare lupus complication. People with the condition feel a sense of breathlessness and reduced chest expansion. Some people with shrinking lung syndrome improve with corticosteroid or immunosuppressive therapy. D’Cruz, D, Khamashta, MA, Hughes, G. Pulmonary Manifestations of Systemic Lupus Erythematosus. In: Wallace, DJ, Hahn, BH, eds. Dubois’ Lupus Erythematosus. 7th ed. Philadelphia, Pa: Lippincott Williams & Wilkins; 2007:678-699. Medsger, Thomas A. “Pulmonary Manifestations.” The Clinical Management of Systemic Lupus Erythematosus. Ed. Peter H. Schur. 2nd ed. Philadelphia: Lippincott-Raven, 1996. 87-94. “Pulmonary hypertension.” American Heart Association. 1 July 2009. <http://www.americanheart.org/presenter.jhtml?identifier=11076>. Wallace, Daniel J. “Pants and Pulses: The Lungs and Heart.” The Lupus Book: A Guide for Patients and Their Families. 1st ed. New York: Oxford University Press, 1995. 81-98.